Google is known for search. When we get stuck coding we Google every command line or inspect element error which leads to a blog, StackOverFlow, YouTube video, an article or a podcast that helps us get closer to the solution. 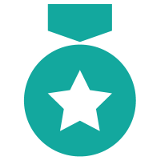 Along with teaching coding skills, Operation Code is also dedicated to setting up networks for our military veterans. One of the best ways to grow a network is to attend a technical conference.